Herbivores are an integral part of the African landscape and have evolved with the vegetation to create the savanna landscape. Managers of these landscapes can benefit from a better understanding of how indigenous herbivores use the landscape to which they are adapted. In this study we observed which patches were frequently utilised, by doing regular monthly road counts, grass height observations and dung counts on selected short grass patches in the Kruger National Park. Smaller-framed impala and blue wildebeest (meso-herbivores) were most regularly seen on these nutritious patches, while from dung deposits it was clear that the even larger-framed buffalo (mega-herbivores) spent time there. This preference can be explained by considering the nutritional needs and food intake of the herbivores. Smaller-framed herbivores seem to be able to satisfy their dietary requirements on the high-quality forage patches, while larger-framed herbivores seem to supplement the quality forage by also spending foraging time on areas of higher grass biomass. 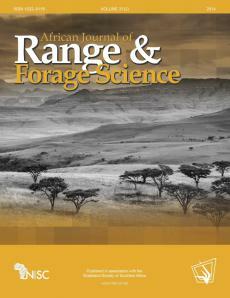 From this insight we propose that range management should take herbivore preferences into account and allow herbivores to select and concentrate their foraging on the most nutritious forage. This approach is likely to decrease inputs while allowing animals to maintain or increase production.